Take your best shot. 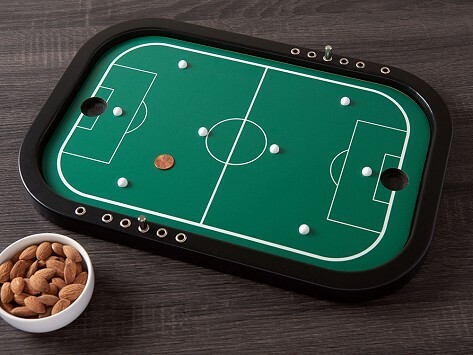 This penny soccer table game is a fresh take on an old-school classic. All you need to play is a finger that’s ready to flick and a penny that acts as the soccer ball. The wooden game board is handcrafted in Missouri and is made with the mission to bring families together for a nostalgic (and fun) screen-free game night. Dimensions: 16" x 11" x 1"